Creative cooks will have fun with these flavorful herbs and garden-fresh veggies. Friends and family will appreciate dining on colorful salads, savory sauces and healthful greens. Grow your own fresh vegetables to make perfect pasta sauces and other mouthwatering Italian dishes. 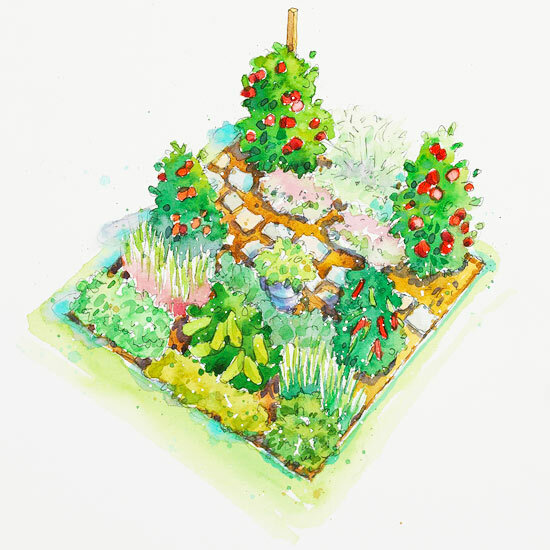 Site this garden in full sun and well-drained soil for best harvests. Spread mulch over the soil to help decrease weeds and disease. Fresh lettuce, spinach, and peas aren’t limited to spring. Replant as temperatures cool in late summer for a second round of these favorites. Try something different in the garden this year. Everyone will enjoy growing a pizza garden. This garden is even shaped like a pizza. In your garden area, mark off a circle by putting a stake upright in the ground. Attach a 3 and a half foot piece of string to the stake. Keeping the string tight, walk around in a circle and mark the ground to show the garden’s border. Divide the circle into six equal wedges. 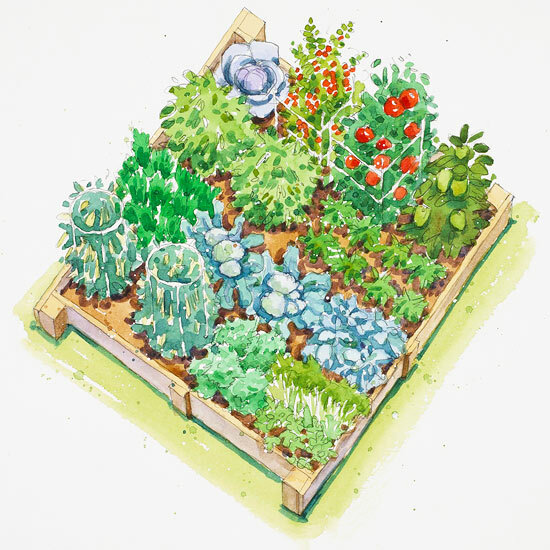 In your pizza garden plan to grow three vegetables and three herbs. In one wedge plant 2 or 3 oregano plants. Oregano is a perennial herb that gives pizza the characteristic taste and wonderful smell. It may be used fresh or dried. Parsley is a biennial herb that reseeds itself. Plant 2 or 3 plants in its wedge. There are several kinds of basil varieties, but I recommend sweet basil for your pizza garden. Basil is an annual herb and you can plant 2 to 3 plants in its wedge. Onions can be planted from seeds or sets. Select red, white or yellow for your garden. You can plant up to 30 onion sets in your garden. Plant 1 or 2 pepper plants in your garden. Plant any green, sweet, bell type of pepper. If you like hot, spicy pizza, plan to also grow a hot pepper variety. The final wedge will be planted with one tomato plant. A paste tomato variety, such as Roma, is recommended for your pizza garden. Roma has small, oblong tomatoes with a thick meaty flesh.